Newcastle United manager Rafael Benítez was born in the Spanish capital of Madrid on 16th April, 1960. As a player, Rafa was on the books of Real Madrid - a club he would later go on to manage, progressing through the ranks of the club's youth and amateur teams. In 1979, he was selected to play for Spain Youth Under-19s at the World Student Games in Mexico, where he would sustain a knee injury which would impact on his playing career. 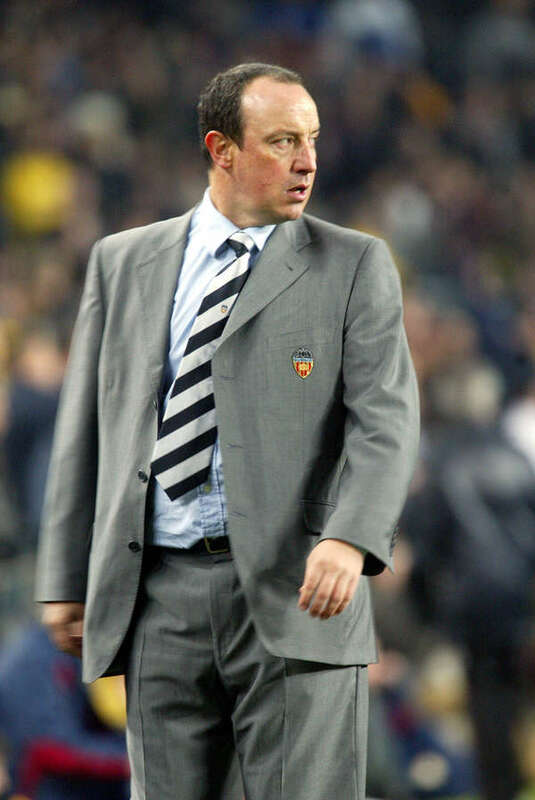 After returning from a significant spell on the sidelines, Rafa moved to AD Parla in 1981 and he would help the club to achieve promotion to Second División B. He joined CF Linares in 1985 but injury problems throughout the 1985/86 season would eventually force him to hang his boots up. Even as a young player, Rafa's meticulous, methodical approach to the game was obvious. He would keep detailed notes about his team and his opponents, filling notebook after notebook with tactical observations and reports. A career in coaching was a natural step and in 1986, aged just 26, he returned to Real Madrid to pursue a career on the training pitch and in the dugout. Rafa would go on to achieve success with the club's academy and reserve sides, eventually assisting first team manager Vicente del Bosque in 1994 either side of leading Real Madrid Castilla in the Spanish second tier. 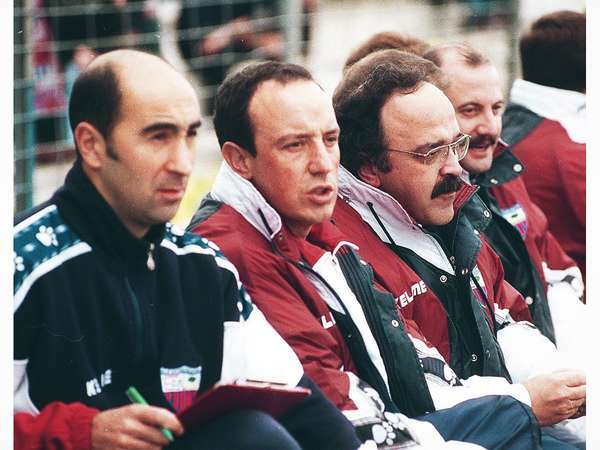 Ready to fly the nest, he had spells in the dugout as coach of Real Valladolid and Osasuna before guiding Extremadura back to the Primera Division in 1997. He then moved on to Tenerife and repeated the trick; again winning promotion in 2001. It was during his time with Valencia that he began to make a real name for himself far beyond his homeland. In three years at the Mestalla, Rafa's side won the La Liga title twice - in 2002 and again in 2004. In his last season there, he also won the UEFA Cup, making it a double-winning campaign for Los Che. Rafa's next stop would be England, where he would become the first Spanish manager in Premier League history. 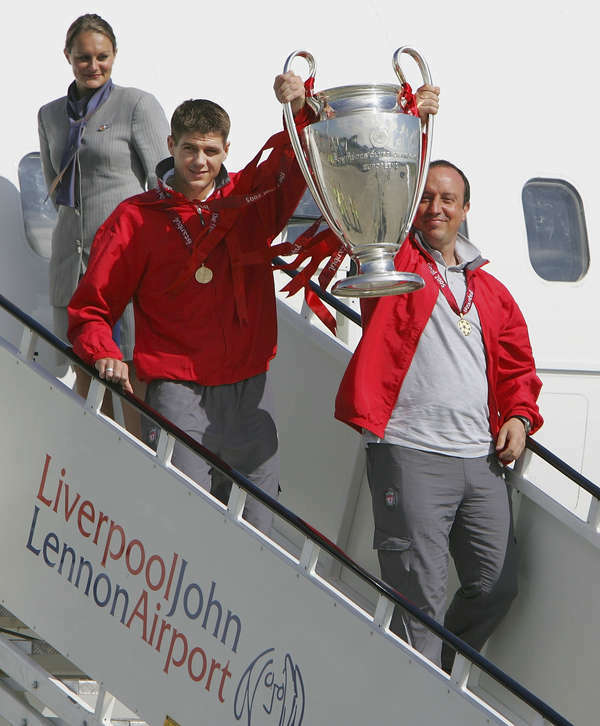 He memorably guided Liverpool to the UEFA Champions League title in his first season on Merseyside, with an incredible comeback against AC Milan in Istanbul in 2005 becoming one of the competition's greatest ever finals. He collected the FA Cup in 2006 and again reached the Champions League final in 2007. He also achieved a second-place finish in the Premier League in the 2008/09 season. His next move took him to the San Siro, where he guided Inter Milan to Italian Super Cup and FIFA World Club Cup glory before returning to England, taking over as interim manager of Chelsea in November 2012. A trophy followed, as he managed the Blues to the UEFA Europa League title six months later. 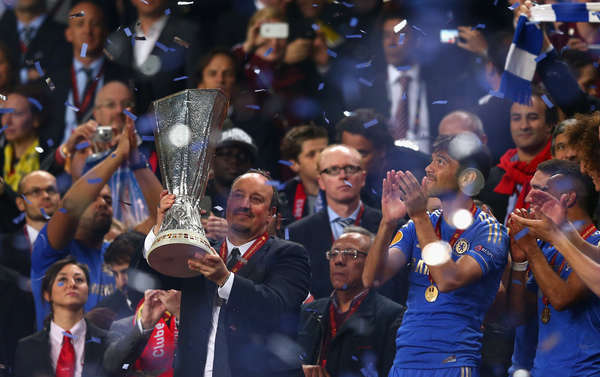 Rafa's time at Napoli between May 2013 and May 2015 heralded two more trophies - the Italian Super Cup and the Coppa Italia - before returning to European giants Real Madrid, this time as manager, between June 2015 and January 2016. Rafa was appointed as manager of relegation-threatened Newcastle United in March 2016. His impact was immediate, but despite an upswing in performances and results, the damage had already been done and the Magpies could not avoid the drop. 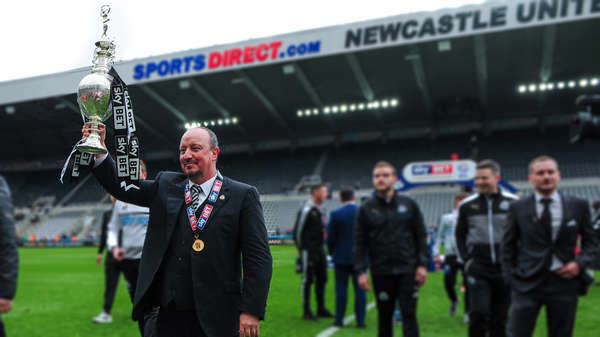 The mood wasn't low for long however, with Rafa committing his future to the club and assembling a squad capable of achieving an immediate return to the Premier League. Despite losing the first two games of the 2016/17 campaign, Rafa steered the Magpies to promotion with two games to spare - with a dramatic final day seeing United leapfrog Brighton to be crowned as champions. With survival the aim during the 2017/18 season, Rafa's side would exceed expectations to secure the club's first top ten finish in the Premier League since 2014.